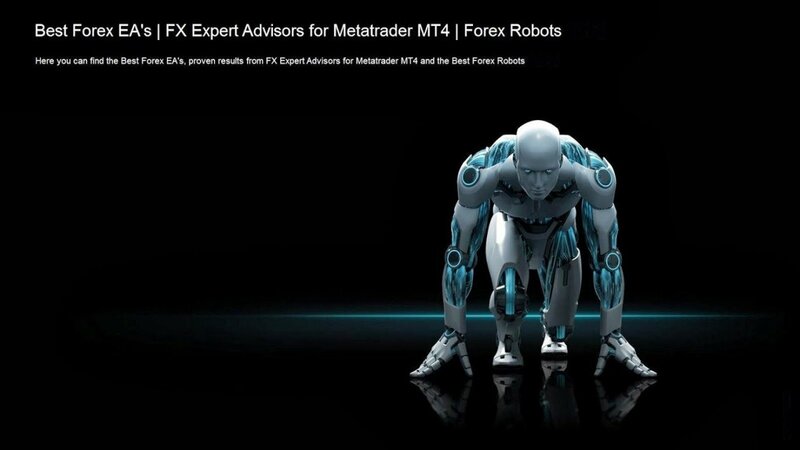 With a trading volume that exceeds $4 trillion per day, Forex is the largest and most liquid market in the world. In fact, the volume traded in Forex is so high that no data is available, though every three years the BIS (Bank of International Settlements) publishes the results of a survey conducted with major market participants and creates an estimate based on responses obtained. The above table illustrates the exceedingly fast yearly changes in daily global volume over the last fifteen years, growing from 0.8 trillion in 1992 to 3.9 trillion by 2010, multiplying over three times in size. It should be noted that Forex has expanded considerably since President Nixon closed the gold window and currencies were left afloat vis-à-vis other currencies and speculators could thence profit. But the real “gold rush” in currency trading has taken place in the last 10 years, thanks to the internet, the new Euro, and new electronic execution methods have reduced transaction costs and increased market liquidity. Both large and small traders are sensing that Forex is fast becoming a more interesting and less costly trading arena and are moving more of their speculative capital into it. Just to put the $4 trillion daily transaction volume in perspective, it is 100 times larger than all the stock-exchanges together. And if you compare it to the $25 billion a day volume of the New York Stock Exchange, you wonder on the irony of how it is that stocks have such enormous popularity, while Forex is still an alien concept for most people. What are the benefits to having this incredible daily transaction volume? Immediate Execution: Higher liquidity translates into immediate fill at execution. Min delay. 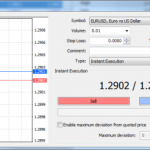 Execution at expected price: Higher liquidity translates into us being filled at expected price. Min slippage (Except during very important news announcements). No one entity can control or move the market. 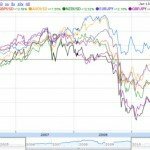 If Forex Is So Big, Why Isn’t Forex As Popular As The Stock Market? Two factors. It is not as old, and it only recently became accessible to the small “retail” trader. First, the large scale speculation on the free floating exchange rate of currencies has been a relatively new trading enterprise, starting more or less in 1971 after the breakup of the Bretton Woods monetary system that had pegged (“fixed”) major currencies to the US Dollar (which was itself supposedly convertible to gold). In August 1971, Nixon terminated the convertibility to gold, which ended the fixed, “gold backed” system’s 26 year life (1945-1971), and allowed currencies once more to be free floating and only paper based (fiat). The New York Stock Exchange (NYSE) in contrast has been around since May 17, 1792, which gives it a 179+ year head start. Moreover, even though speculation on free floating currencies has been around since 1971, it wasn’t until about 1996 that private (retail) clients could trade it. Only the very rich, such as banks and hedge funds, had access to trade it. But luckily for us there were changes afoot that allowed us an entry into this formerly exclusive rich boy’s club. By 1998, the internet had increased in popularity and this led many brokers to open up shop online and allow smaller traders access the electronic trading of foreign currency pairs. 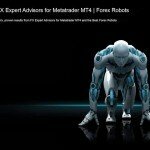 So Forex is relatively new to smaller traders, and while it is many times bigger and growing exponentially faster than the stock market, it will take some time before becomes as well known. A few decades ago, the main participants in the Forex market were the commercial banks that took positions against other banks for a wide variety of reasons (speculation, hedging, etc. ), and firms (exporters and importers of goods and services) would use banks for their foreign exchange transactions. 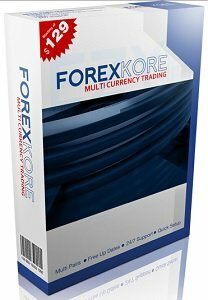 All this activity accounted for about 70% of the overall volume generated in Forex. These days, however, the market has changed. With new technological developments and the ability to conduct transactions overseas with more ease, other institutions are able to participate, as well as individual investors and traders. These days speculation accounts for more than 95% of overall daily activity, meaning that most of the participants buying a currency have no intention of receiving that particular currency. These transactions are conducted from commercial banks to individual traders. 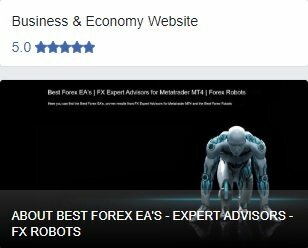 There are hundreds of large and small banks participating in the Forex market with the motive to offset their own foreign exchange risks and that of their clients, as well as to increase wealth of their stock holders. Each bank, although differently organized, has a dealing desk responsible for order execution, market making, and risk management. The role of the dealing desk can also be to make profits trading currency directly through hedging, arbitrage, or a different array of strategies. The top tier interbank market accounts for 53% of all transactions. After them there are the smaller banks, followed by multi-national corporations (which need to hedge risk and pay employees in different countries), large hedge funds, and some large retail FX market makers. Banks often position themselves in the currency markets guided by a particular view of the market direction, and what distinguishes them from the non-banking participants is their unique “insider” information of the buying and selling interests of their clients at any given time, which gives them more knowledge about the buying and selling pressures of the exchange rates. But this advantage is of relative value, because no single bank is bigger than the market, and banks are just as vulnerable to large moves adverse to their own market expectations and to market volatility. The interbank market is a fancy way of saying that the banks trade with each other, absent a central market place. The interbank market can best be understood in terms of a network consisting of banks and financial institutions which, connected through their dealing desks, negotiate exchange rates. This interbank market has existed for many decades. 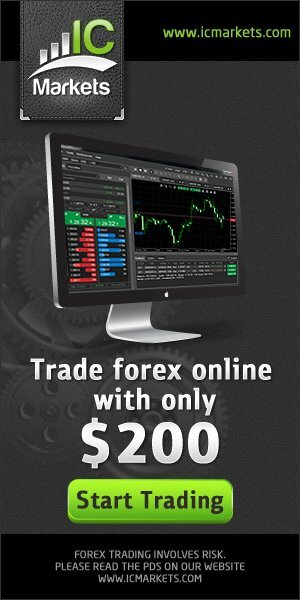 However, in the 90’s a series of events unfolded (deregulation, internet, increasingly widespread availability of electronic trading networks and matching systems) that allowed the emergence of dealers and brokers to participate in the interbank market on our behalf, allowing us to take advantage of new speculative opportunities in the forex trading world that offer higher leverage, lower minimums, and 24/7 trading. Central banks are major players in the Forex market, although the main reason they get involved is not for profit but rather to facilitate their government’s monetary policies (the supply and availability of money) and to help smooth out the fluctuation of the value of their currency (interest rates). Some central banks are more conservative than others; some intervene regularly (like the Japanese Central Bank). Central bank intervention can take several forms: 1) direct buying to push prices higher or selling to push prices down; 2) moving the interest rate up to strengthen the currency, down to weaken it; and 3) stepping into the market and signaling that an intervention is a possibility, by commenting in the media about its preferred level for the currency, often interpreted as a precursor to official action (called “jawboning”). In extreme circumstances, for instance, after a strong trend or imbalance in a currency exchange rate, pay attention to the central banker’s rhetoric and actions, as an intervention may be adopted in an attempt to reverse the exchange rate and nullify a trend set by speculators. For instance, the Swiss National Bank (SNB) and the Bank of Japan have both intervened in recent history creating large moves in the currency markets. .
Big and small corporations (from smaller importers/exporters to multi-billion, multi-national corporations) participate in Forex in order to trade goods and services abroad, hedge risk, and pay employees in different countries. Most companies like to be paid in their home currencies or US dollars in order to complete the transactions they need to acquire foreign currency through commercial banks. Another reason a commercial company may participate in the Forex market is to hedge their exposure; for instance, if the company is to receive payments in the future in its home currency, and that currency has been depreciating, the company might go short (sell) its home currency and go long (buy) the other currency in the same amount of the payment to be received, thus avoiding the risk of price fluctuation. Hedge Funds are basically international and domestic money managers, and they can trade in hundreds of millions, as their pools of investment funds tend to be very large. The net asset value of a hedge can run into the billions, and the gross assets are higher still because of leverage and borrowing. These managers invest on behalf of a range of clients including pension funds, insurance companies, mutual funds, wealthy investors, governments and even central banks. Government-run investment pools known assovereign wealth funds (SWF) have grown rapidly in recent years, some grabbing headline attention for making bad investments in Wall Street financial firms. All these hedge funds have played an increasingly important role in financial markets in general, and FX in particular, since the 2000s, and it is their growth and trading activity that accounts for why over 80% of foreign exchange transactions have become speculative. Foreign exchange advantage factors like liquidity leverage and relatively low cost create a unique investment environment for these large fund participants. The hedge fund segment of Forex has come to exert a greater influence on currency trends and values as time moves forward. They are the entities that really move the currency market, buying or selling huge amounts in the mid (weeks) to long term (months to years), and their huge transactions sometimes unbalance the market, requiring price adjustments to rebalance demand and supply. For instance, the billionaire George Soros (pictured above) made his fortune trading FX, and his Quantum fund gained a reputation for aggressive speculation since 1990. The fund was accused of applying pressure on currencies to directly benefit its speculative strategies: former Malaysian Prime Minister Mahathir Mohamad blamed the devaluation of the Malaysian ringgit in 1997 on George Soros. George Soros has defended that he was merely taking advantage of known weaknesses in the international financial system. The counterargument is that certain countries and its leaders may develop unsustainable financial bubbles or otherwise mishandle their national economies, and FX speculators make the inevitable collapse happen sooner instead of it allowing it to linger longer and become larger. 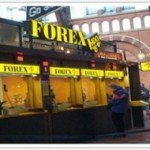 We the small traders are called retail traders, as opposed to institutional traders, and though our participation in the FX market has increased dramatically in the last 10 years, we still only comprise 2% of the whole FX market volume, with an average daily trade volume of over US$50-60 billion. There are two benefits in being the small fish in the large pool: the larger volume traders add to the market’s liquidity, and our small size gives us more flexibility to maneuver. We have already mentioned the liquidity advantage factor: immediate and transparent execution. The flexibility factor is interesting to note as well. Because our time frame and investment horizon are generally much shorter, and we do not have any impact on the demand/supply equilibrium in aggregate, our trading models and lower volumes allow us to have more flexibility to enter and exit the market. However, it should be noted that brokers and banks generally grant considerably tighter spreads to larger clients, which gives them a cost advantage we do not have. 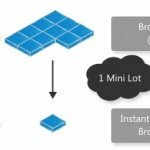 Now that we have covered a possible advantage we have in being small (more flexible entry and exit opportunities), it is important to highlight our disadvantage: because we are the small fish in this pool, the lowest on the food chain in terms of size and sophistication, we are the most readily eaten up. 95% of retail traders lose. The larger traders (the banks, corporations and hedge funds) are the sharks in these waters, they are trading day and night, they know the ins and outs of the markets and they eat the weak. They employ sophisticated trading systems that sniff out the unsophisticated traders who are more likely to put stop orders at obvious levels of support and resistance. New traders are more likely to follow the most popular schools of thought in fundamental or technical analysis, and so their short term directional bias can often be seen and exploited by sharks. Some brokers publish their in-house ratios of longs to shorts on any given currency on any given time, called sentiment, and since they know that most retail traders lose, the recommendation is to trade counter to the retail sentiment or directional bias. In order for a retail trader to avoid becoming a victim to the larger traders, he should avoid following any of the latest or popular news events and schools of thought. If he is going to follow anyone, he might profit more from trying to track the movements of the large players, which can be done via the proper interpretation of different economic reports, like the weekly COT report, which displays the directional bias of the large traders on the different currency pairs. Alternatively, one can track the movements of the large traders by following the price action on larger time frame charts. Higher time frames, like the four hour and daily charts, express the intentions of the bigger players. Alternatively, one can try to be contrarian to the prevailing mood of the smaller players. Ideally, you should develop your own trading system with sophisticated multi-time frame components that have an edge over both big and small traders and this system should be traded with discipline or be automatized. More on this in later sections.